This free rental property management spreadsheet can help you to keep track of up to 10 investment properties (rental expenses, income, etc). Try the new Investment Property Record Keeping Spreadsheet now for FREE with NO obligation to purchase! If you have tried the new Investment Property Record Keeping Spreadsheet and need an unlock code to turn the trial to the full version after the trial expires for only $64.99, please click the button below. Most of us don't want to pay for complicated accounting software or other technical software packages - that's why I developed this simple but powerful Investment Property Management Spreadsheet based on ATO rental property spreadsheet. You can track all the income and expenses up to 10 properties on a monthly basis. It will estimate the tax deductions of individual properties as well as your property portfolio. This property rental workbook can save you at least $100 per year because it is free. You can use it for calendar year or financial year. Here is a screen shot that will give you a better idea that what you need to do and how this free property investment management spreadsheet can help you. 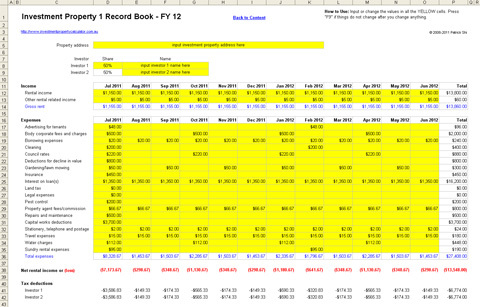 Download FREE Rental Property Management Spreadsheet Now! 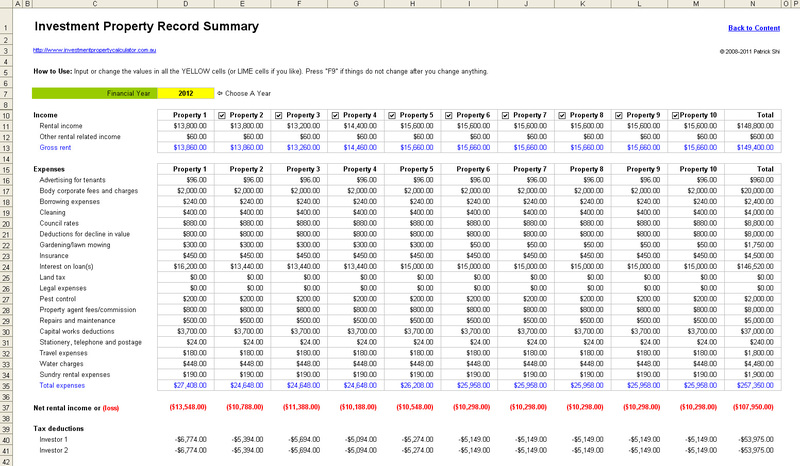 You may want to get the free trial of the new Investment Property Rent Collection Management Spreadsheet. It helps you to keep track of your rental income (rent due, rent overdue, rent paid, etc) of up to 10 rental properties. 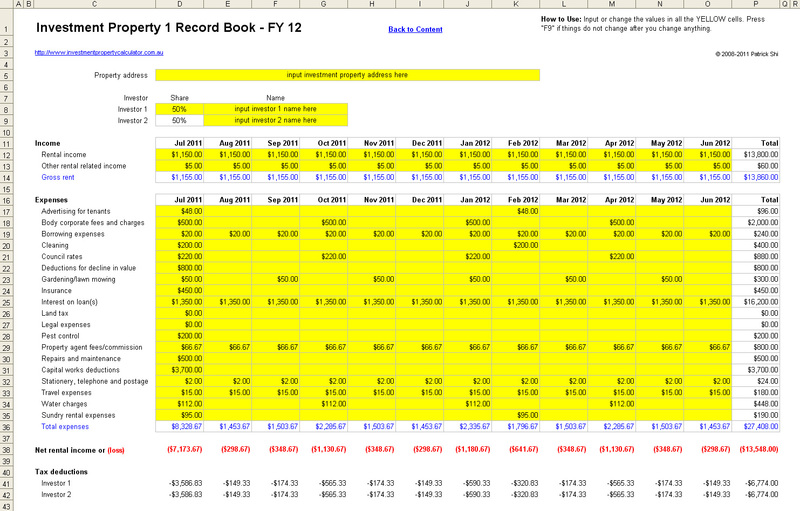 New Investment Property Record Keeping Spreadsheet! Up to 50 rental properties; Up to 50 rental income items; up to 200 rental expense items; up to 15 years records in one file; simple information input interface; flexible financial year dates; Australia tax rates or international tax rates. Please note: This is NOT a free one!